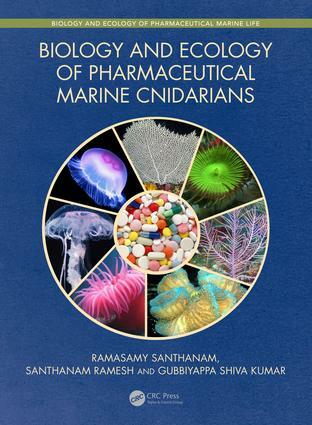 The first comprehensive book on the biology and ecology of pharmaceutical cnidarians, answering a need for more knowledge about the identification, biology, natural products and bioactivities of these living resources. Contributed by scientists of both marine biology and pharmacy disciplines. Identifies the correct marine species, shows the ecological parameters of that species, and explores its biological values with particular attention to primary and secondary metabolites or bioactive constituents. A useful supplementary text on Marine Biology and Pharmacology courses. Nearly 200 illustrations are produced in full color, providing a high-quality reference. This book provides the taxonomy, common name, global distribution, habitat, diagnostic features, and pharmaceutical compounds (along with their activities) of 200 species of marine cnidarians along with nearly 200 detailed illustrations in glorious color. The phylum Cnidaria (formerly Coelenterata) is a large, diverse, and ecologically important group of marine invertebrates which make up 40 percent of the biomass of the oceans. Marine invertebrates are the richest source of marine natural products with potential applications in the pharmaceutical and medical sectors, and it has been reported that over 3000 bioactive compounds have been described from this phylum alone, mostly in the last decade. Ramasamy Santhanam is the former Dean of Fisheries College and Research Institute, Tamilnadu Veterinary and Animal Sciences University, India. He has about 40 years of teaching/ research experience. He is presently serving as a Fisheries Expert for various government and nongovernment organizations. Santhanam Ramesh, Professor, Department of Pharmaceutics, Ratnam Institute of Pharmacy, Nellore, AP, India, has 13 years of teaching/overseas experience. Gubbiyappa Shivakumar, Professor and Principal , GITAM School of Pharmacy, Patencheru, Telangana, India has 17 years of teaching /overseas experience.